Life in modern American society can seem awfully complicated, what with its salacious scandals, political dust-ups, too-frequent violence and wall-to-wall media coverage amplifying it all. Add to that the typical daily stressors of making ends meet, performing well on the job or in class and staying physically and mentally healthy, and there is plenty to keep any Trojan awake at night. Occupational therapy cannot solve these problems by itself, but it can help make everyday life seem a little more peaceful, pleasant and purposeful. Explore the many ways that occupational therapy helps quell the chaos, from the classroom to the campus dormitory to the clinic, to keep USC students, faculty and staff at their very best. 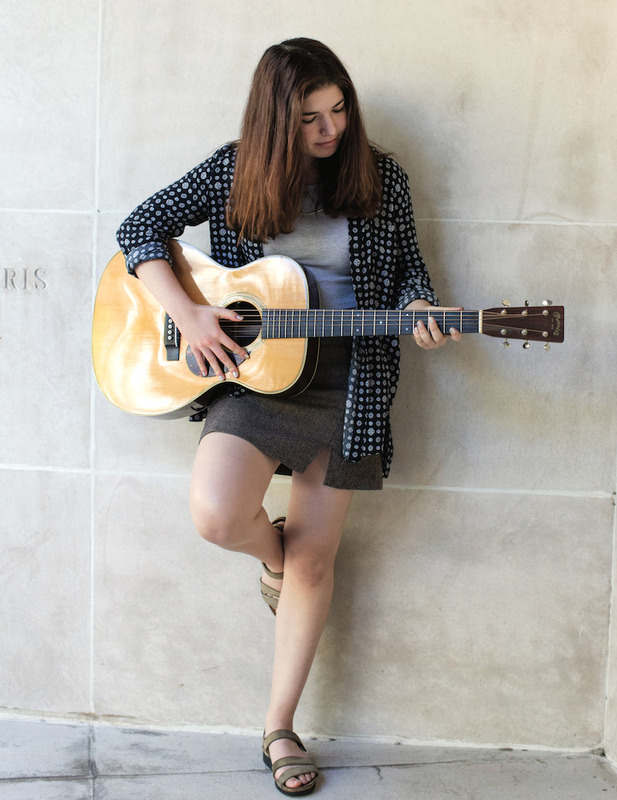 “Rough.” That’s how Rachel Blocher ’18 describes her transition from high school to college. Hailing from the Bay Area and dealing with the typical waves of homesickness, she found it difficult to click with her new peers on campus. To make matters worse, poor time management led to a failing grade in chemistry, which might not have been such an issue if she weren’t in the pre-med program. Now a senior majoring in business administration with an emphasis on marketing, Blocher reflects back to the tools that could have helped her better navigate that crucial first year. “It would have been nice to have support in the beginning,” she says. Thankfully, USC Chan is doing just that by offering a new course this semester geared toward helping students adjust to college life. Taught by Ashley Uyeshiro Simon ’08, MA ’10, OTD ’11, assistant professor of clinical occupational therapy and an expert in lifestyle-based occupational therapy, OT 101: Caring for Your Self: Engaging in Healthy Habits and Routines strives to empower freshman students’ capacity for self-care, aid in their ability to cope with stress and decrease attrition rates from year one to year two. The course was developed in response to an early 2017 retreat hosted by USC Provost Michael Quick, during which USC Chan faculty members were invited to present ideas to better assist first-year students in making the transition to college. In addition to the standard challenges incoming students face, Uyeshiro Simon says each year, the acceptance pool from which USC admits its incoming freshman class grows larger and more qualified, with higher GPAs and SAT scores. In turn, the competition (and pressure) on academic performance is increasingly greater. Students are also coming to USC with fewer coping skills as a result of more and more “helicopter” parenting, according to Uyeshiro Simon. Post-secondary schools are seeing higher rates of mental health issues among students. As a result, many universities across the nation have instituted either a class during welcome week or a mandatory class similar to OT 101 specifically for this reason. OT 101 meets once a week in a residential dorm building for 90 minutes to promote the daily implementation of self-care, which Uyeshiro Simon describes as any activity that improves an overall sense of well-being. For freshman psychology major Emma Collins ’21, OT 101 is not only helping her balance her class load and social life, but it has also opened career avenues she never considered previously. 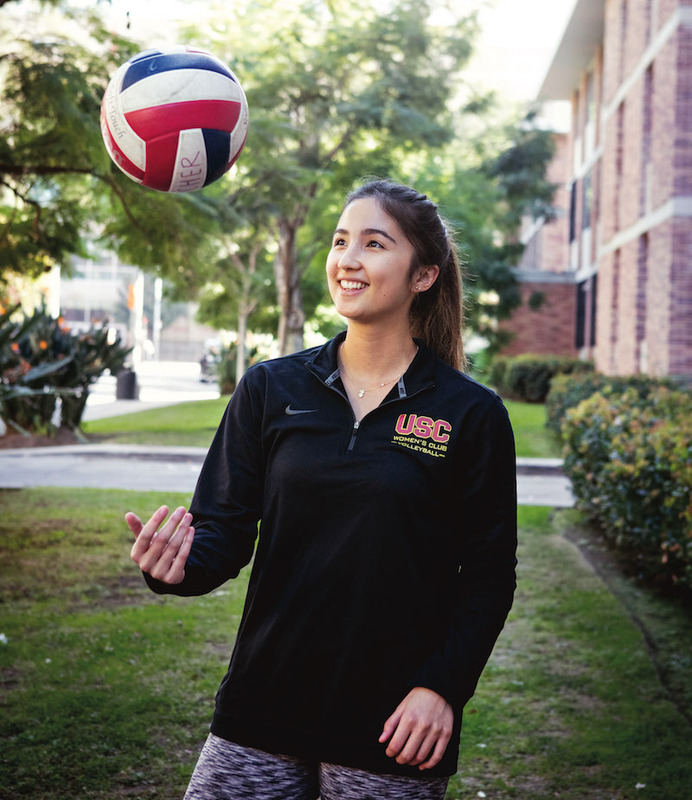 These days, she relieves stress by playing on the USC club volleyball team and feels she’s come full circle. The pieces fell into place during her sophomore year after becoming a resident assistant, a student leader who serves as a resource, role model and peer educator to student housing residents. She’s now recommending OT 101 to any of her residents who are experiencing similar struggles, a testament to the fact that it’s never too late to learn new tricks. For example, after learning in class about the concept of habit-pairing, Blocher took the technique to heart. Though she will graduate in 2018, Blocher says she decided to enroll in the class to be able to dig deeper into her habits to analyze what makes her more productive. USC has long championed the role of residential faculty in the lives of freshman as they are adapting to the demands and culture of campus life. The residential faculty program was launched in 2012 under the leadership of former USC Provost Elizabeth Garrett. Garrett, who was a strong advocate for healthy student life, recalled a conversation with a student who approached her after an event. The student shared that he was finally able to see that people can indeed disagree about politics while still having civilized, productive discussions that don’t devolve into shouting matches. This valuable blend of living and learning now defines the USC student life experience. As of 2012, USC freshmen have been housed in residential colleges, where they benefit from the strong involvement of resident faculty. Myka Winder ’07, MA ’10, OTD ’11 is one of those faculty members. Winder, an assistant professor of clinical occupational therapy at USC Chan, has been living in the South Residential College in Pardee Tower since the program started. 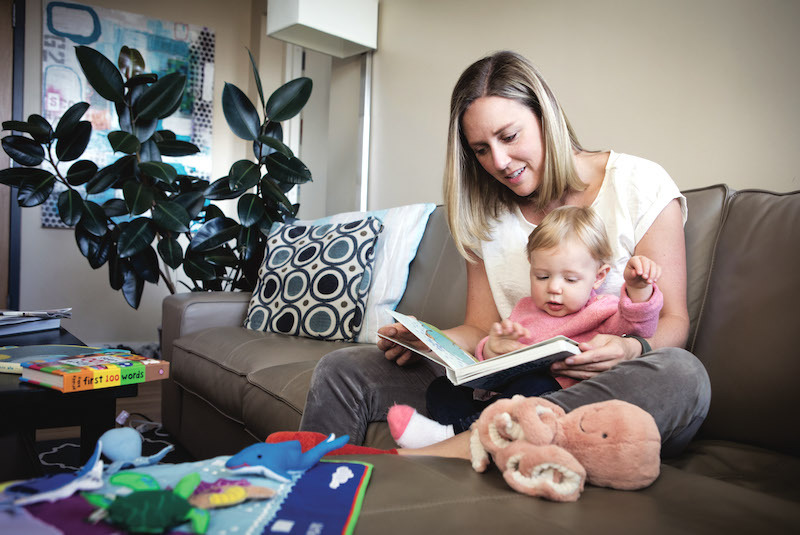 These days, her “roommates” include her husband, Shiloh, and 1-year-old daughter, Amelia. Winder even lived in that very tower during her own time as a USC undergrad. “The building still smells the same, and I have tons of memories from living here. Now I have my own bathroom, which makes a big difference!” she says, with a laugh. While her residence is (sort of ) the same, her role today is very different. “I would say I serve primarily as a neighbor, mentor and community leader, who is a faculty member and occupational therapist by profession,” Winder says. Winder’s OT background lends itself well to her residential faculty role. She believes that Lifestyle Redesign — an occupational therapy approach to promoting wellness by helping people build, enact and sustain healthier lifestyles — has direct applications for students who are living away from home for the first time. Because of her training and positioning, Winder can provide a lot of value to on-campus residents. While the weekly commitment can vary, Winder regularly hosts events focusing on time and stress management and serves as a day-to-day role model to promote healthy behavior. She also coordinates activities such as hiking, stand-up paddle boarding and tours of the Huntington Library and Gardens. Winder and other faculty residents host dinners and invite alumni to join in order to share their career journeys with students. For students, the activities can serve as an outlet to detach from studies and the pressures of day-to-day life. “I can say without a doubt that these events and activities have nothing but positive effects during this turbulent stage in many people’s lives, including my own,” says Pardee Tower resident Seth Mitchell ’21, who is an occupational therapy major. 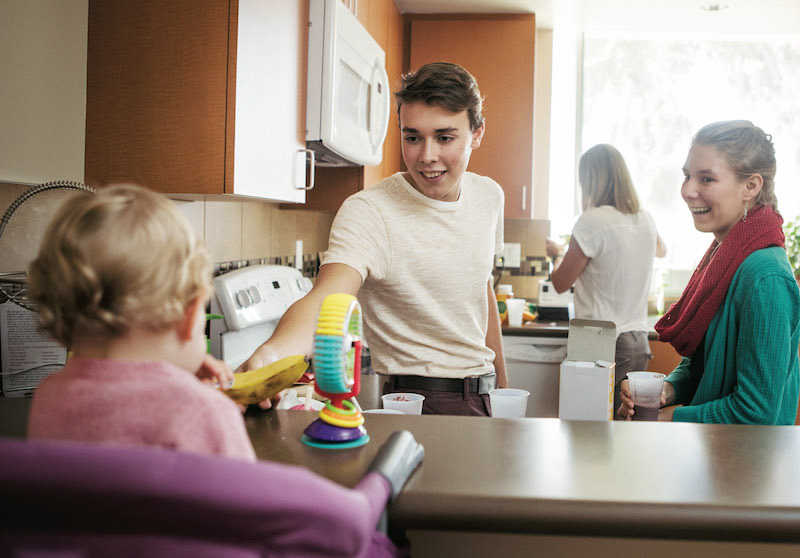 For others, a faculty resident can serve as a trusting safe haven while away from the comfort of their own homes and families. Winder says she wants to represent USC residential faculty beyond the South Residential College. She hopes to serve as a healthy role model to students across the university, whether that’s at the Lyon Center gym where she works out and swims, in dining halls discussing healthy meal options or at the on-campus pharmacy where she runs errands and picks up prescriptions for her family. Struggling with anxiety? Trying to manage your diabetes? Aiming to lose weight? A Lifestyle Redesign from the USC Occupational Therapy Faculty Practice might be just what you need. Manuel Rivera was in such a rush to pay off his bills that he took on a part-time job even though he was already working full-time at USC. Before long he was socking away extra money, but he was also working seven days a week, sleeping less and had no time for exercising or seeing friends or family. In early 2015, he ended up in the emergency room thinking that he was having a heart attack. 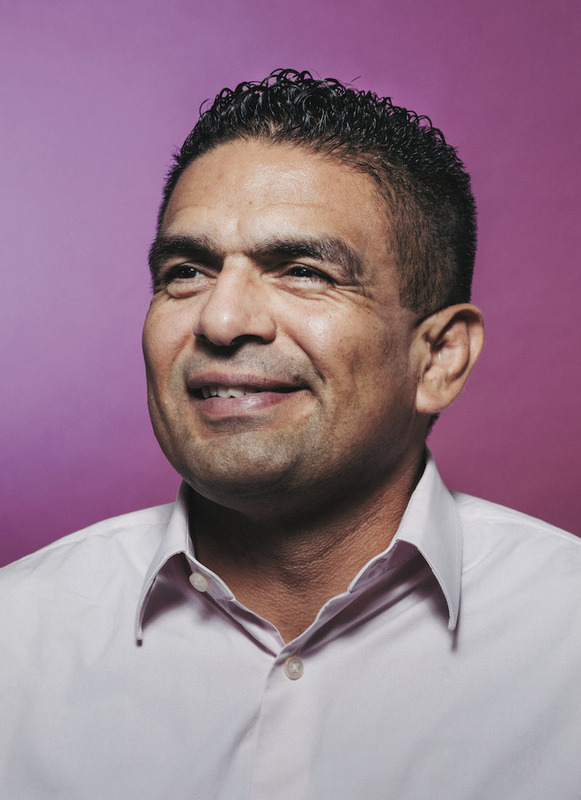 Rivera’s primary care physician at Keck Medicine of USC determined that his schedule brought on a panic attack and wrote him a referral that he didn’t expect: to the USC Occupational Therapy Faculty Practice for help through the Lifestyle Redesign program. Rivera admits the referral puzzled him initially because he thought occupational therapists helped people through rehabilitation following a hospital stay, which of course they do. But he soon discovered much more to occupational therapy than he ever knew. In addition to providing the USC community with top-rated rehabilitation services, the faculty practice provides a suite of preventive health care services to help patients make lifestyle choices that achieve optimal wellness. The practice offers programs to manage health problems like diabetes and chronic headaches. Its clinicians have developed effective programs to help patients deal with a range of mental health concerns, including anxiety, stress and depression. They have also proved to be an effective tool for many on both USC campuses to jump start and maintain healthy weight loss. 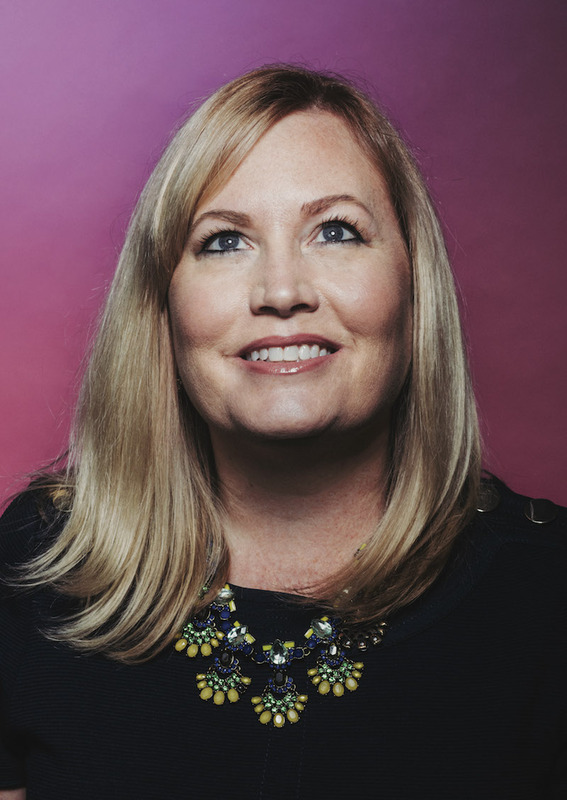 “People tell us we are the best kept secret on campus because many people who come to us don’t know the range of services we offer,” says Chantelle Rice Collins ’07, MA ’08, OTD ’09, director of the USC Occupational Therapy Faculty Practice. 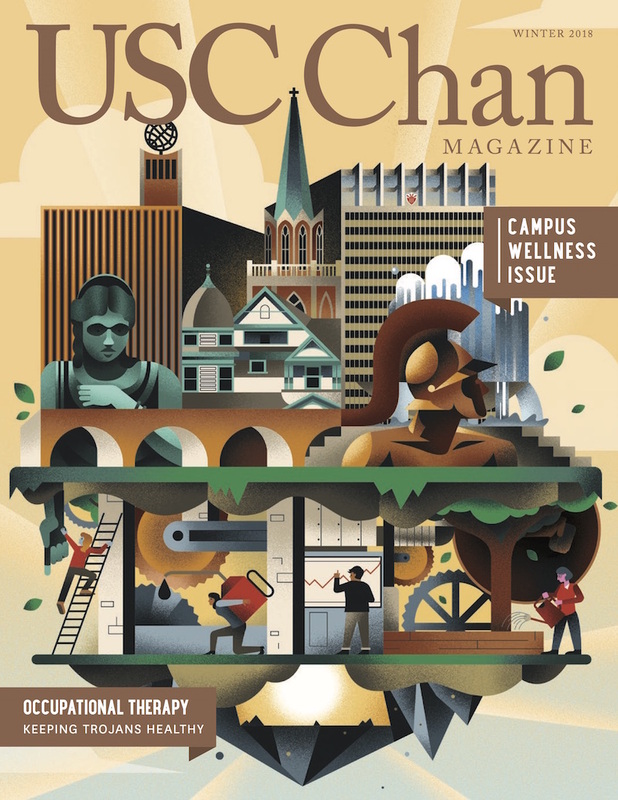 The programs offered by the occupational therapists, all of whom are also faculty members at USC Chan, are a complement to medical care, not a replacement for it. Physicians diagnose, prescribe to and treat patients while their occupational therapist can help them understand, through detailed lifestyle evaluations, how they can better structure their daily activities and what impact that has on their health. Such evaluations help patients understand the underlying causes and lifestyle decisions that make their conditions either worse or better. The faculty practitioners help patients identify the triggers and behaviors that lead to poor decision-making. Identifying those individual triggers can help them understand the interplay between lifestyle factors — such as lack of exercise or failing to eat breakfast — and their overall health. It also helps them restructure their lives to avoid triggers or react to them in a more positive way. Rice Collins notes that while most people understand that a healthy lifestyle is critical for everyone — especially those living with chronic health problems like Parkinson’s disease, cardiovascular disease or depression — few people know how to create a plan for executing daily activities that will help them be at their best. “The complexities of implementing changes for individuals, the problem-solving piece, requires a lot of work on a regular basis,” says Rice Collins, who is also an associate professor of clinical occupational therapy at USC Chan. Apryl Lundsten first made an appointment with the USC Occupational Therapy Faculty Practice to help her navigate a series of personal losses. The approach of evaluating her lifestyle and making deliberate changes is one that she responded to well. In fact, she found that occupational therapy helped her cope with grief so well that she has continued to work with the therapists to learn to manage her time better so that she could achieve a dream: Lundsten has longed to pursue a master’s degree. But with a full-time job at USC, serious creative pursuits outside of her job, and a husband she wants to spend quality time with, she couldn’t imagine where to squeeze it in. Working with her occupational therapist, Lundsten made adjustments to the way she structured her day, prioritizing those things that are most important and learning to let go of things that aren’t. The end result has been more time available to pursue achievable steps toward her academic goals. “I have been blown away by how small changes can lead to huge differences,” says Lundsten, who is now pursuing a master’s degree in visual anthropology at USC. Part of the reason so many patients respond well, Rice Collins notes, is because the faculty clinicians know that the Lifestyle Redesign approach works because of its evidence-based approach. For more than two decades, USC Chan faculty have been conducting randomized controlled trials to study the efficacy of preventive occupational therapy services. In fact, 2017 marked the 20th anniversary of the publication of the USC Well Elderly Study results in the Journal of the American Medical Association, the first occupational therapy study to ever earn a spot within the journal’s prestigious pages. Thanks to working with a USC occupational therapist after his panic attack, Rivera has learned that his bills weren’t as much of a problem as was the fact that he wasn’t managing his daily activities particularly well. Today he is paying down his debt, albeit more slowly than he initially hoped, but he has also struck a balance between caring for his finances while caring for his mind and body. Rivera is working that second job, though not as intensely as he once did, and he has realized that he cannot sacrifice downtime and gym time without ending up in the hospital again. Most importantly, he has learned what triggers his financial stress, and he has proactively changed the way he reacts to it.